Fluoride is a natural mineral that is also found in the food and drinks you consume, including water. The mineral plays a very important role in dental health, as it supports the tooth enamel, thus increasing the strength of the teeth and preventing tooth decay and dental cavities. Fluoride can, however, be lost through erosion, making your teeth vulnerable to decay, cavities, infection of the inner tissues, among other dental problems. Fortunately, fluoride treatment can help to restore the lost fluoride, thus protecting the teeth from any damage. At Edge Dental, we offer a wide range of dental solutions, including fluoride treatment to help guarantee your dental health. What Does Fluoride Treatment Involve? After the application of the treatment, you may be asked not to eat, drink, or rinse your teeth for about thirty minutes to allow your teeth to absorb the fluoride. Depending on the health status of your teeth, a fluoride treatment can be offered every three, six, or 12 months. Why is Fluoride Treatment Important? What about Fluoride Found in Food and Drinks? Since fluoride is also present in some foods and drinks, can consuming them help to restore the fluoride eroded from the enamel? The answer to this is yes. Consuming foods and drinks that contain fluoride can help to strengthen your teeth enamel. However, fluoride only occurs in small and low, concentrated quantities in these foods and drinks. Therefore, if your tooth enamel has been compromised, these amounts will not be enough to restore its structure. Fluoride treatment, on the other hand, involves larger amounts of highly concentrated fluoride. On top of that, the treatment is applied directly on the teeth – as opposed to swallowing, which guarantees a faster absorption rate. Fluoride treatments are thus more effective in restoring the strength of the enamel. Considering that fluoride treatments involve a high concentration of fluoride, it is possible to have safety concerns about them. However, fluoride treatments are completely safe and can be offered to everyone – babies and adults alike. However, there is a risk of fluorosis, which can happen when your teeth are exposed to too much fluoride. However, this risk is heavily mitigated when the fluoride is applied at the dentist’ office. 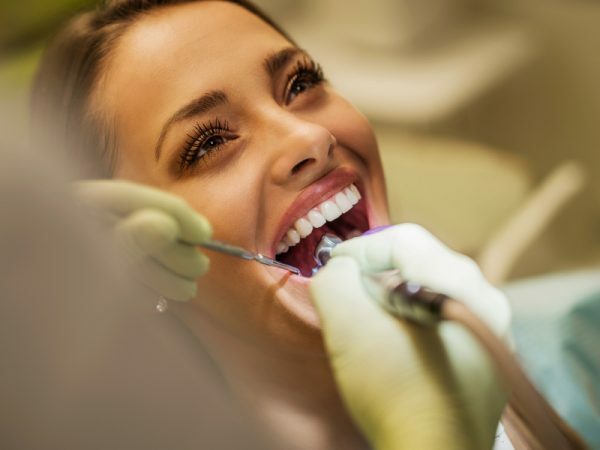 A compromised enamel can lead to some dental health issues, including dental cavities, tooth decay, and ultimately, tooth infection and tooth loss. However, a fluoride treatment can help you avoid all these issues, and at the same time, improve your dental health. Call us, Edge Dental, at (281) 940-8940 today if you have any questions about fluoride treatment.